Walk along the beach and you will probably find a treasure washed up from the ocean, although you may not know it. Seaweed may seem like the dandelions of the sea, but the multitude of benefits of these humble sea plants are the subject of serious research, and are one of the top subjects in international communities for development. Leading scientists are looking toward seaweed and aquaculture to find numerous applications in the modern world because of their composition and ability to grow just about anywhere in the ocean. According to the Food and Agriculture Organization of the United Nations, seaweed use has increased 176% since 1995, and predictions have an even greater growth in the future. The benefits of seaweed for health and well-being have been studied for many years, but there is a renewed interest in seaweed as a sustainable and plentiful source of important ingredients to help treat many pathologies, including the most complex of organs—the brain. The sea covers over two-thirds of our planet, and, perhaps as no coincidence, the human body is made of two-thirds water as well. Researchers point out the almost uncanny similarity between seawater and human plasma, our intercellular fluid. The first form of life was derived from unicellular marine microalgae, which appeared in the ocean more than 3.5 billion years ago. The oldest marine macroalgae fossils found are at least 1.2 billion years old. Today, at least 40,000 different species of marine micro- and macroalgae have been identified worldwide. Scientists believe that marine algae may produce more than 60% of the earth’s oxygen. Seaweed is a powerful concentration of seawater. One liter of seaweed contains the same concentration of elements as 10,000 liters of seawater. Seaweeds have no roots, stems or leaves, but rather parallel structures including holdfasts, stipes and blades, respectively. They are able to uptake minerals by absorption and active transport from seawater and have close symbiotic associations with bacteria for important vitamins necessary for their growth. Because of these processes, some seaweeds become a dense concentration of vitamins, minerals, trace elements, macro-elements, phytohormones, amino acids, proteins and lipids. Seaweed needs light for photosynthesis, which converts light energy into chemical energy, producing sugars and oxygen. The colors of seaweeds are determined by photosynthetic pigments including chlorophylls, phycobiliproteins, xanthophylls and carotenoids. Seaweeds also contain compounds such as mycosporine-like amino acids that protect them from ultraviolet light. For centuries, people have turned to the sea for its renewing properties. Thalassotherapy, which was named after “thalassos”, the Greek word for sea, uses seawater for therapeutic purposes and preventative measures based on the belief that immersion in seawater helps promote well-being and cleanses the system. Bathing in seawater is a deep-rooted tradition. Today, the tradition of thalassotherapy continues at spas and skin care centers around the world. 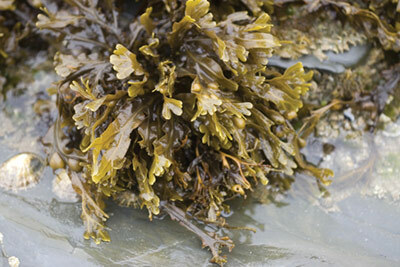 In skin care, specific seaweeds can be used to create a number of beneficial cosmetic effects, including decreasing the appearance of oil, diminishing the appearance of fine lines and wrinkles, exfoliating the skin for a more luminous complexion, and moisturizing the skin to make it feel and look soft and smooth. Following is a list of some of the key species of seaweed used in skin care today. Laminaria digitata. This brown seaweed is often called “horsetail kelp” and is found in low intertidal and shallow subtidal marine environments in the Atlantic and Pacific oceans. It is a natural source of 12 vitamins, including B12, C, E, K and beta carotene; 18 amino acids; and as many as 42 trace elements. Laminaria digitata is renowned for its ability to moisturize the skin. Codium fragile f. atlanticum. 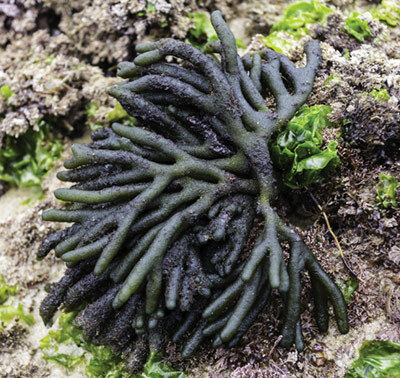 This green seaweed anchors to rocks from 1 cm to many meters in size and is found in intertidal to shallow subtidal marine environments with branched cylindrical fronds. It is known to help instantly boost moisture. Ascophyllum nodosum. Thriving in the upper intertidal and shallow subtidal marine environments in the North Atlantic Ocean, this brown seaweed is often called “knotted wrack” or “rockweed.” It is rich in vitamins, minerals, amino acids, phytohormones, fucoidan and alginic acid. It helps the skin look smooth and soft. Ulva compressa. This algae is found in green sheets or tubular forms in many near-shore environments around the globe. It helps the skin look and feel firmer. Ahnfeltia plicata. Formerly referred to as Ahnfeltia concinna, this wiry subtidal red marine alga from the coast of the Hawaiian Islands also is now found along the coasts of the North Atlantic Ocean. 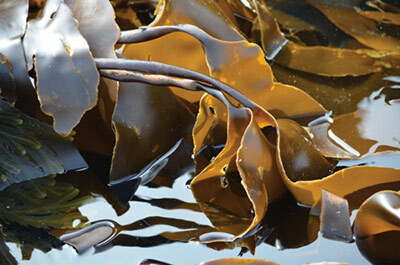 It is often associated with the holdfasts of kelp, and helps to restore moisture and soothe the skin. Ulva lactuca. This green seaweed, found in the intertidal and shallow subtidal marine environments all over the world, helps reduce the visible signs of aging and diminishes the appearance of fine lines. Saccharina latissima. This brown seaweed is known as “sugar kelp.” It is found in shallow, cold-water subtidal environments in the Atlantic and Pacific oceans. It is rich in many vitamins, minerals, trace elements, amino acids and alginic acid. It helps reduce the appearance of oil on the skin. Fucus vesiculosus. This brown macroalga is often called “rockweed.” It is found in intertidal to shallow subtidal marine environments of the North Atlantic Ocean. It is rich in vitamins and contains fucoidan and alginic acid. This seaweed helps with deep cleansing and reduces the appearance of oil. Porphyridium spp. This group of single-cell red microalgae is high in essential fatty acids as well as vitamins B and C. It helps with oily skin. Lithothamnion calcareum. This red type of algae’s main feature is the formation of calcium carbonate in its cell walls. It helps skin look and feel firmer or more toned. Pelvetia canaliculata. This brown algae is found attached to rocks of the upper intertidal rocky shores in the eastern Atlantic Ocean. It helps reduce the appearance of dark spots. While Asia is the largest market of seaweed globally, accounting for more than 55% of the market share in 2015, North America is the fastest-growing region for seaweed applications and market growth. Recent reports have found the seaweed industry is undergoing a rapid global expansion; it currently accounts for approximately 49% of total mariculture production, with the industry valued in total at $6.4 billion in 2014.³ Of key importance to this market are biosecurity, disease prevention and detection, and sustainable, healthy environments for seaweed that will create a balance between economic growth and ocean health. Water quality is also key to seaweed sustenance and growth, as it is absorbed into the plant. Considering this, it is therefore important to source seaweed from the most pristine environments, such as off the coast of eastern Maine. Traditionally, seaweeds were collected from natural stocks or wild populations. However, these resources were being depleted by over-harvesting, so cultivation techniques were developed. Today, seaweeds can be wild harvested or grown through aquaculture (farming). Depending on the situation, some are hand harvested and others are mechanically harvested. Wild harvesting takes place early in the morning during the lowest tides of spring and summer months, accompanying the new and full moons. Small boats travel to the kelp beds on exposed ledges to harvest, working at the lowest point of the low tide line into subtidal areas, where the seaweeds cling to the rocks. The work is difficult in that the harvester must carefully cut the seaweed as the plants are briefly exposed between the swells of the waves. The cutting is performed using specific techniques to allow for sustainable growth and ensure the long-term health of the seaweed plants and a minimal impact on the local ecosystem. Once brought back to shore, the seaweed is immediately hung to dry, away from direct sunlight, and will reaching a shelf-stable condition within 24–36 hours, at which point it may be stored for up to one year under proper conditions. With increased interest and research in seaweed, this natural ingredient, already used in many skin care products, promises to become an even more important ingredient for widespread use; from medicine to biofuels. Proper regulation and maintenance of sustainable harvesting procedures will be paramount to assure the seaweed has a broad genetic diversity and consistent quality. Likewise, environmental regulations for water quality will be important to provide a suitable environment for seaweed growth. Once these are in place, seaweed holds an extremely promising future as an ingredient staple. 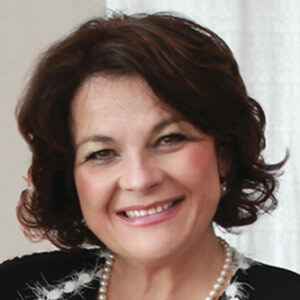 Lydia Sarfati is the founder and CEO of Repêchage. She appears internationally at trade shows, has produced 17 instructional videos and is a published author. For more information, go to www.repechage.com.